Weight: 3 lbs 1 oz. 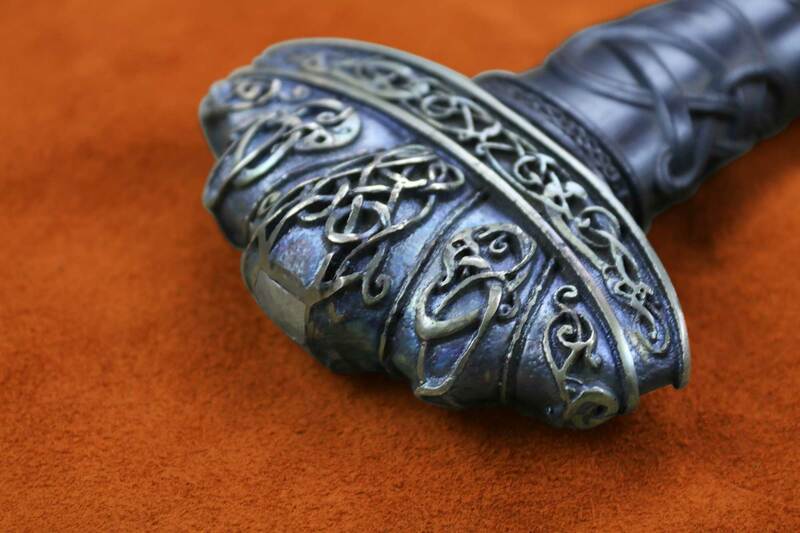 Viking weaponry, jewelry, and other relics are frequently decorated with distinctive artistic designs. These designs are formed of detailed knotwork and frequently depict animals, gods, and other symbolism from Norse mythology. 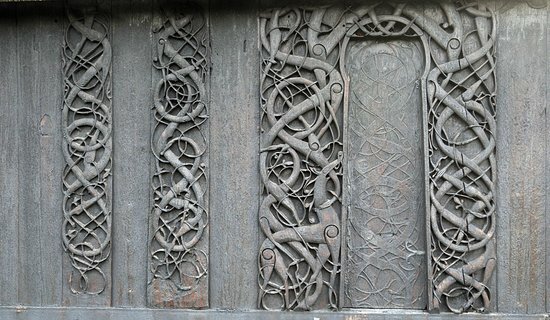 It is especially interesting, therefore, that a 12th century Christian church in Norway should be covered with some of the most intricate knotwork designs still surviving from the Viking era. The Urnes Stave Church is an incredibly unique building for several reasons. It is constructed in a architectural style unique to Norway in which large staves form the load-bearing portion of the structure. 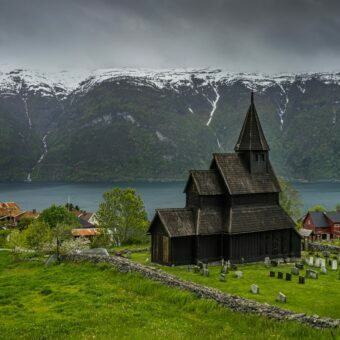 Over a thousand of these churches used to exist in Medieval Norway, now there are less than thirty. The Urnes Stave Church represents not only the best-preserved example of one of these churches, but one that has stunning carvings along much of the preserved structure. In addition, the Church was built on the location of much older buildings, and contains decorative carvings that are almost a hundred years older than the rest of the church – this indicates the previous buildings may have been churches from the era when Christianity arrived in Norway. 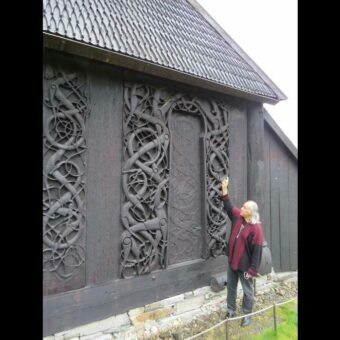 The carvings themselves are of a distinctive style, so distinctive that it has become known as the Urnes style. This style appears to have been developed by the original builders, who likely constructed the church on behalf of a wealthy medieval family. Fierce animals flow across the wood, their elongated bodies intertwined, depicting conflict and battle. Scenes depicted may be biblical, or may hold some connection to older features of Norse mythology. The distinctive lines of the Urnes style – contrasted broad and narrow contours, curving in a seemingly endless flow – are what sets it apart from other Norse artwork from the same era. 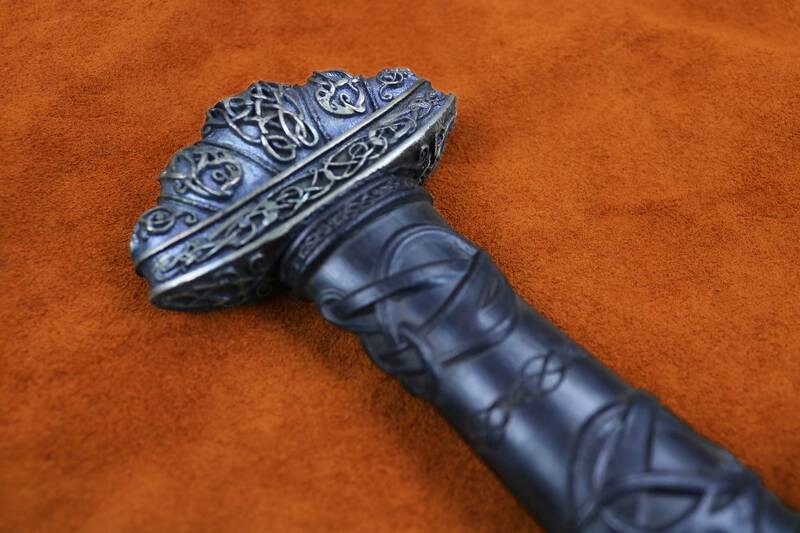 It is this Urnes style that has been reproduced on the hilt of Darksword Armory’s Urnes Stave Viking Sword. 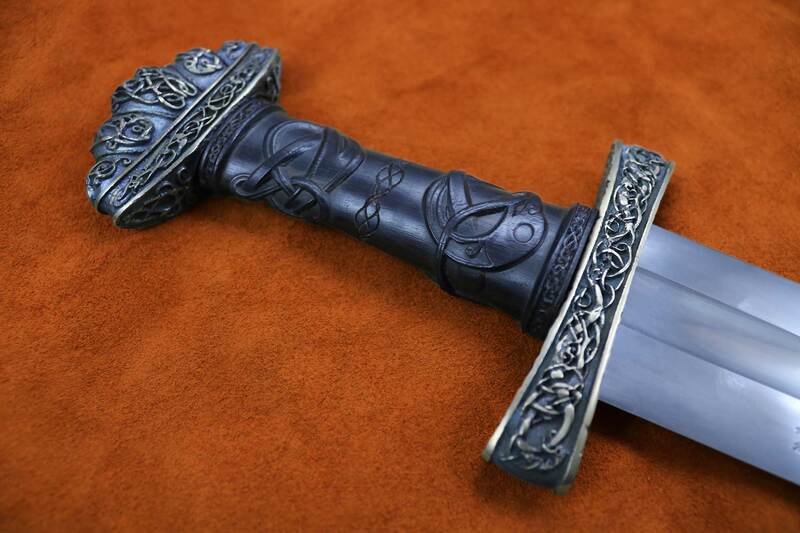 The Urnes Stave Viking Sword is a Darksword design updated with knotwork inspired by its namesake. 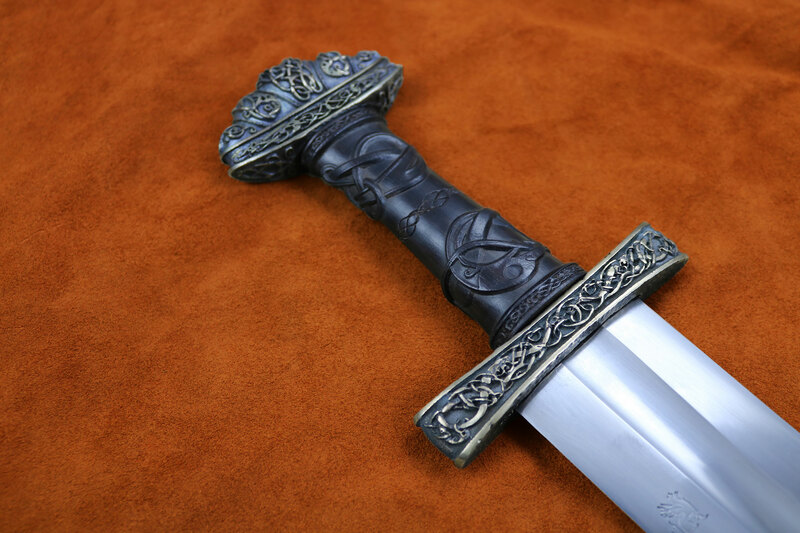 The broad, solid blade is hand made from 5160 steel, and has the classic wide, shallow fuller so common to Viking swords of this era. 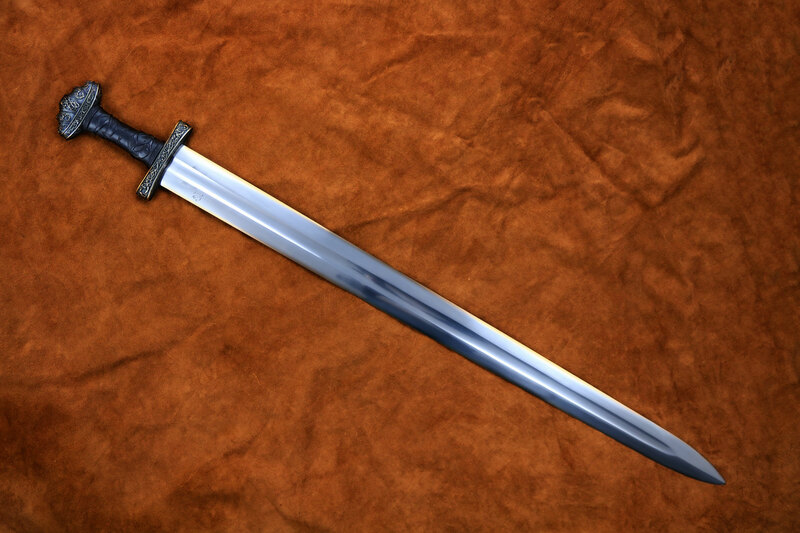 The blade is tempered and resilient like all of Darksword Armory’s swords – however, it is the fittings where this sword’s personality truly shines. Bronze fittings, cast using the lost wax process, depict Urnes style knotwork with contrasting broad and narrow lines. The handle itself is similarly carved from dark (WOOD NAME) and fitted to the tang with epoxy before the pommel is hot peened. 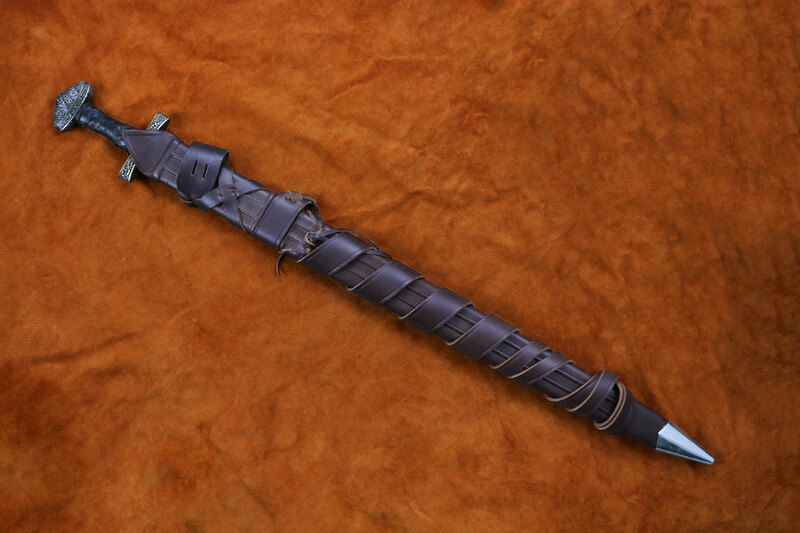 This method of construction results in Darksword Armory’s famous durability. 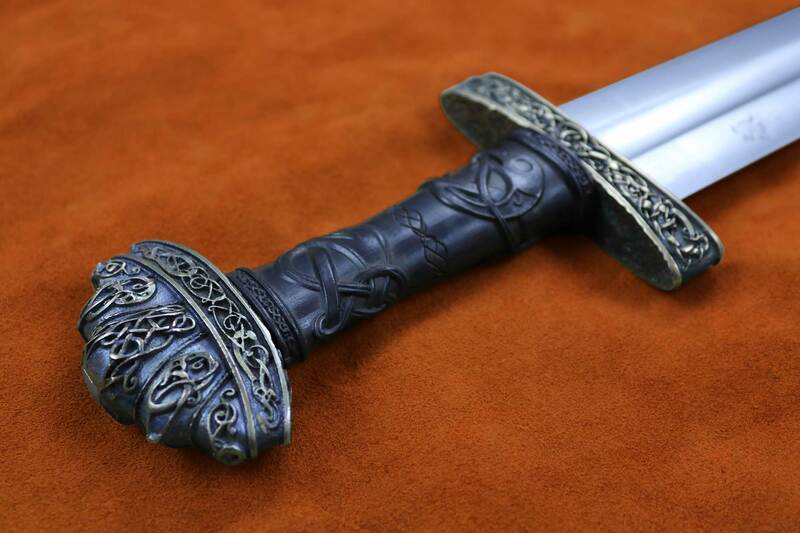 The Urnes Stave Viking Sword is a stunning example of a modern Viking reproduction, and is inspired by one of the most beautiful buildings in Norway. 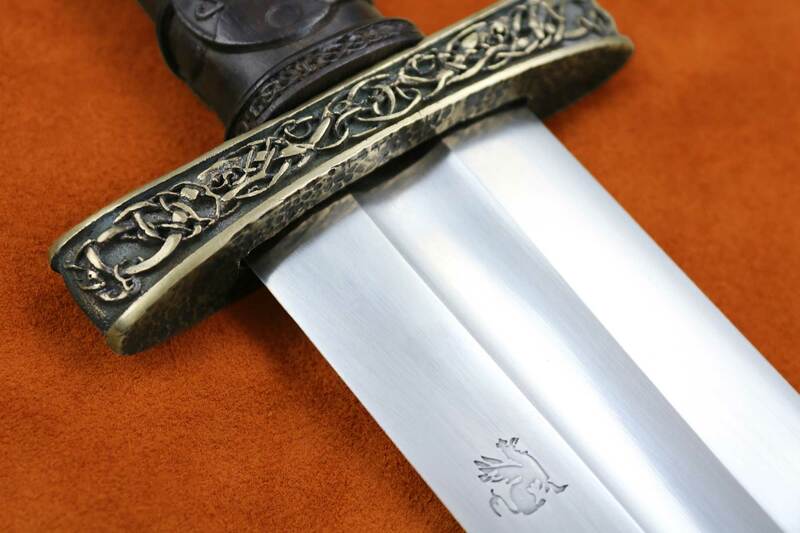 We hope you enjoy owning a sword fit for any Viking chieftain.